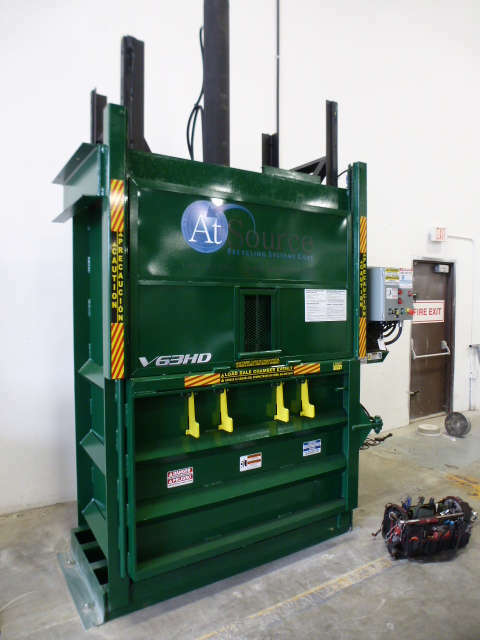 Vertical Balers, Commercial Recycling | AtSource Recycling Systems Inc. Vertical Balers – AtSource Recycling Systems Inc.
A vertical baler from AtSource will significantly reduce labour and disposal fees. AtSource Recycling Systems is one of Canada´s leading suppliers of commercial, vertical baling solutions. We carry Canada’s largest selection of vertical balers to meet any application and commodity recycling requirement. We offer new or re-manufactured equipment via cost effective rent, lease or purchase programs. And we offer the best Equipment Service Plan in available! AtSource offers complete specification design, installation, training, on-going maintenance & support for all our vertical baler systems. We are your complete Vertical Baling systems dealer.